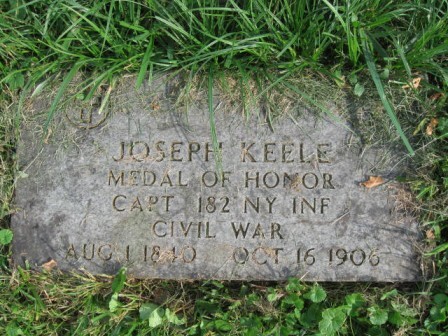 The President of the United States of America, in the name of Congress, takes pleasure in presenting the Medal of Honor to Sergeant Major Joseph Keele, United States Army, for extraordinary heroism on 23 May 1864, while serving with 182d New York Infantry, in action at North Anna River, Virginia. 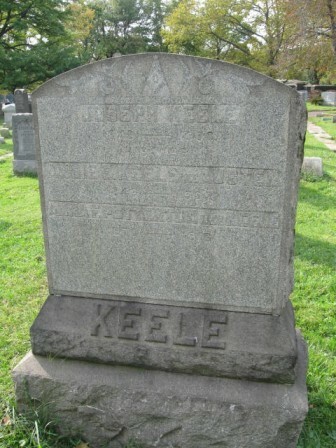 Voluntarily and at the risk of his life Sergeant Major Keele carried orders to the brigade commander, which resulted in saving the works his regiment was defending. 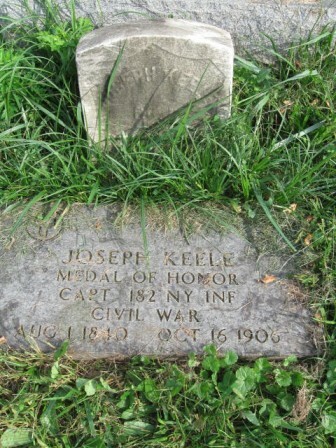 Taken in the Bayview Cemetery, Jersey City, Hudson County, N.J. and was submitted by Fred Otto.